Pre-made panels are your DIY solution! 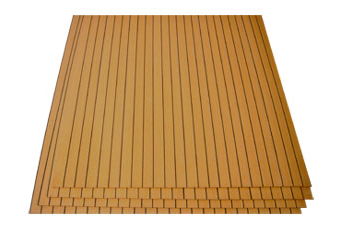 At Permateek, we offer a quality DIY synthetic teak decking solution in the form of pre-made Permateek panels. 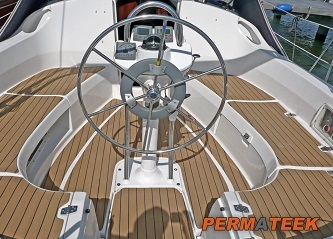 Our Permateek pre-made boards are a no mess, no fuss solution that will save you both time and money! No gluing is necessary as all boards are made from thermally welded planks, thus reducing the possibility of cracking or becoming unfixed. 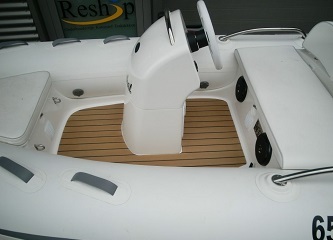 This quality marine boat decking solution is ideally suited to small DIY deck fittings such as sugar scoops, cockpit areas, bathing platforms etc where fitting is simple and easy. 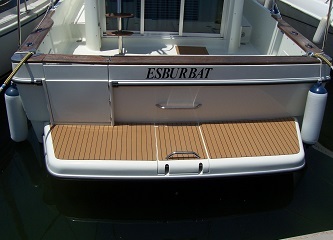 For larger projects, such as entire decks, we suggest that you opt for a custom-made synthetic teak deck with our Premium or First-Class fitting service. For more information, please contact your local Permateek authorised distributor or call 00 44 1202 929098 to learn more.